Last night I took delivery of some new young carp at the Croix Blanche Lakes fishery. It’s been a couple of years since I purchased any new stock carp for Croix Blanche Lakes, so I opted this year to get a small batch which I can bring on in my stock lake and transfer to the main fishing lakes at some date in the future. I’ve made it a policy since the outset of the fishery to buy young modest sized fish and let them grow on in the lakes. We are fortunate enough to have an excellent head of big fish, and the carp I have bought over the last 7 or 8 years have come on in leaps and bounds. 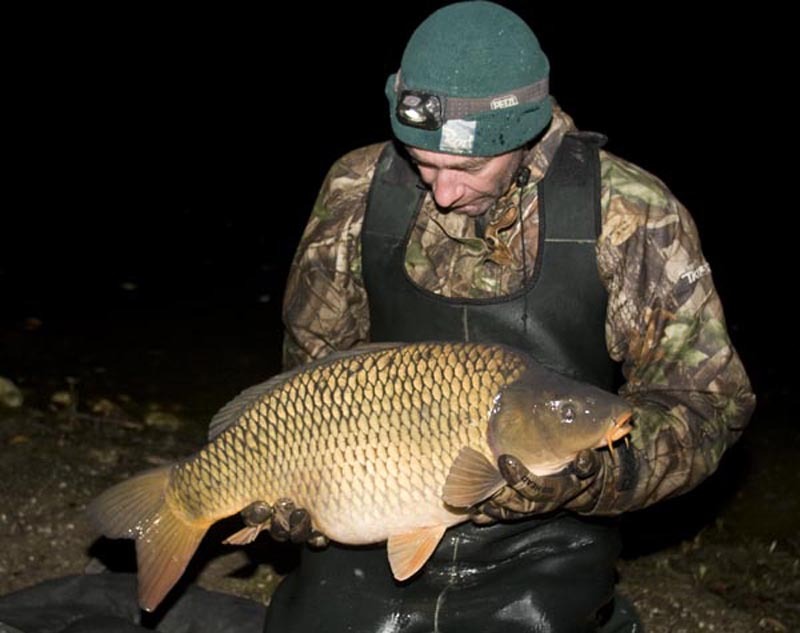 The new batch consisted of over 200 kg of carp between 20lb and just under 30lb. (9kg to 13kg). This time is was a mix of mirrors and commons and were supplied by Christophe Vergnaud & Simon Horton. All were in superb condition as can be seen by the photos. They should do well in the lakes and represent the future generation and who knows future 50’s or even a lake record.